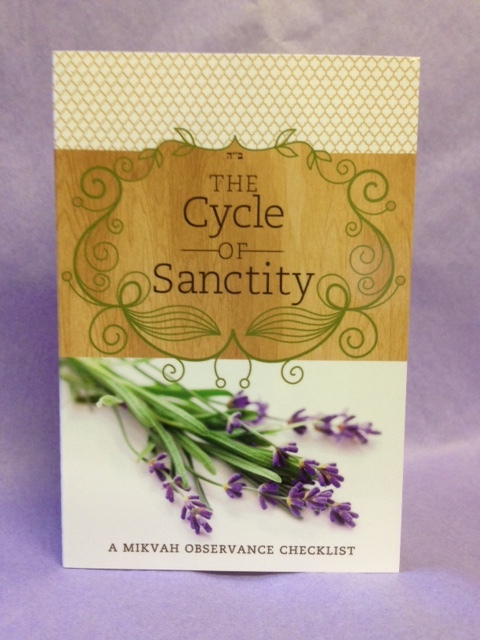 The Cycle of Sanctity, is our newly revised personal mikvah observance check list, with a brand new look. Laminated and pocket sized, it is durable and easy to transport. The personal mikvah check list is in full color making it clear and easy to read.The mikvah check list can be reviewed after mikvah preparations are done to ensure no steps have been forgotten. The checklist can also be used as a review or teaching tool.